A number of refugee sites have been set up around Durban for foreign nationals who have been forced to move for fear of personal safety following the spate of xenophobic attacks we witnessed last week. The KZN Scouts will be meeting at the Westcliffe Sports Ground on Saturday at 10h00 to play our role in embracing the Scout Promise and Law to make a DIFFERENCE in these young people’s lives. The plan is to spend 2-3 hours on Saturday doing what we can by playing soccer and other appropriate fun games. We are therefore calling on Scout Groups to come with Scouts, give back and give the children a memorable day full of smiles. We are also collecting non-perishable food ( tinned food etc. ), sanitary pads, babies nappies and jackets which can either be dropped off at The KZN Scouts HQ or brought along on Saturday. 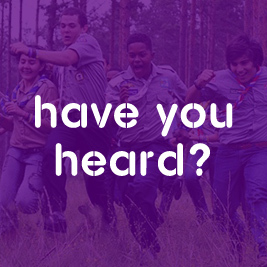 Those interested in attending please email imelda at Imelda.haarhof@scouts.org.za or call on +27 (0)31 207 57 38 so we can work out numbers and co-ordinate our involvement. Directions to the sports ground will be circulated during the week. A special thanks to the Scout Groups who started food and basic medical supply collections last week that were dropped off with the Red Cross.